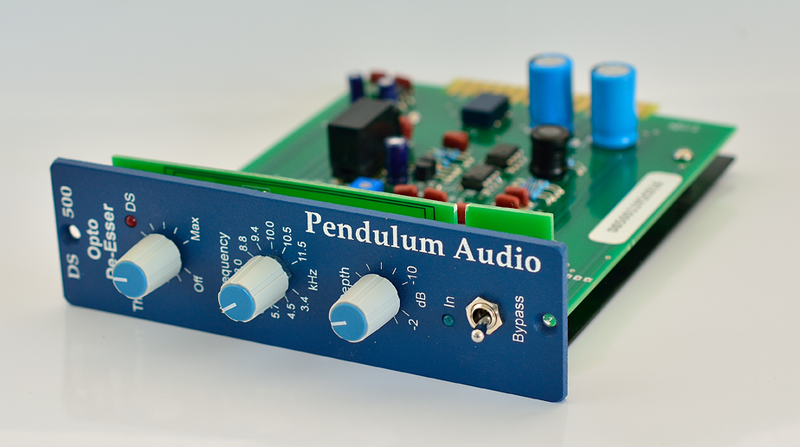 Produktinformationen "Pendulum Audio DS-500 Opto De-esser"
Der Pendulum Audio DS-500 Opto De-esser ist ein super gut funktionierender De-esser im API 500 Format. 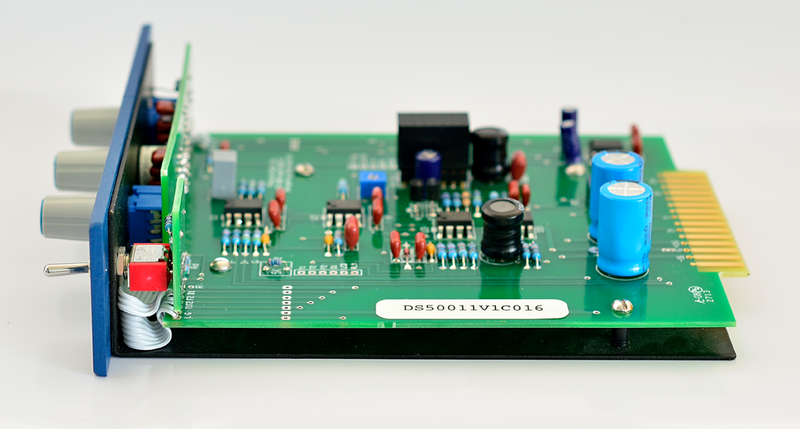 • Opto-Inductive notch filter using our proprietary fast opto cell. 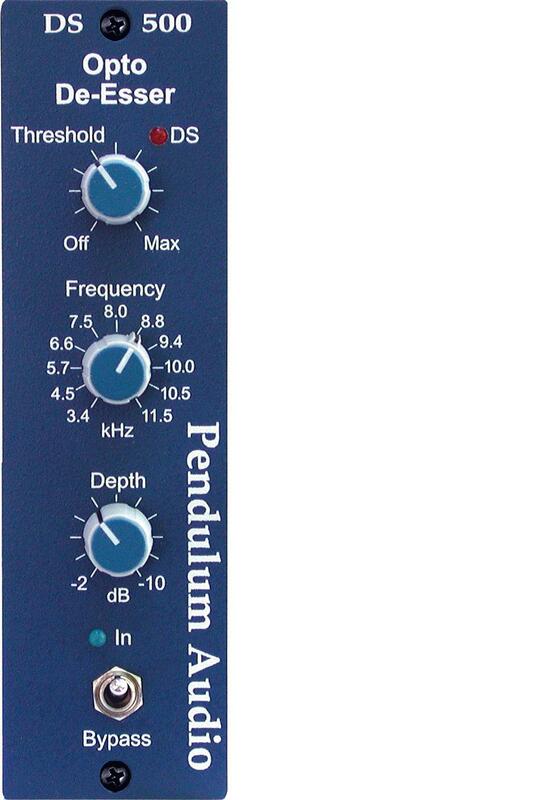 "Back in 2001, while designing the Quartet Tube Recording Channel, I decided that it needed a de-esser as one of the four elements. Though I'd never bothered to look into how they operate – much less built one myself – I blindly went off and started tinkering. Attempts at de-essing via the sidechain of a compressor to pull down the amplitude of the "s" worked ok, but did not sound natural to my ears or leave enough of the "s" to make it recognizable. So, I decided to try using the fast opto cell from the OCL-2 as part of a triggerable LC notch filter, which covers a specific range of fundamental frequency where the "s" is most annoying. By varying the depth and the bandwidth of the notch, I discovered that there is a sweet spot where the "s" is recognizable, but not splashy. Because the sweet spot is often singer-dependent, I added a depth control to allow the user to determine how much of the "s" to leave in. Owners of the Quartet often praised the de-esser, and found it effective in many other applications, including removing finger squeaks in acoustic guitar tracks, and "wisp" sounds on electic bass. 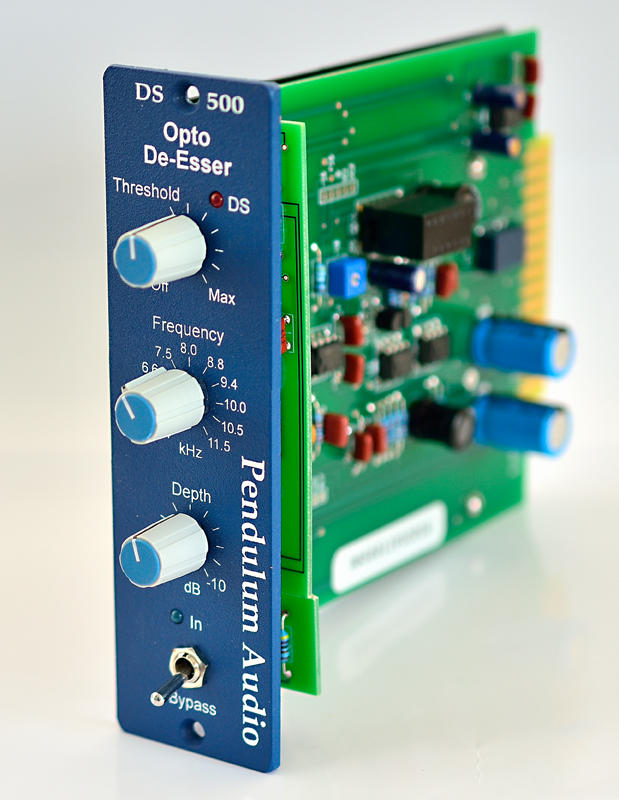 Ten years (and many requests) later, I've been convinced to put out the de-esser in a stand-alone 500 series card. 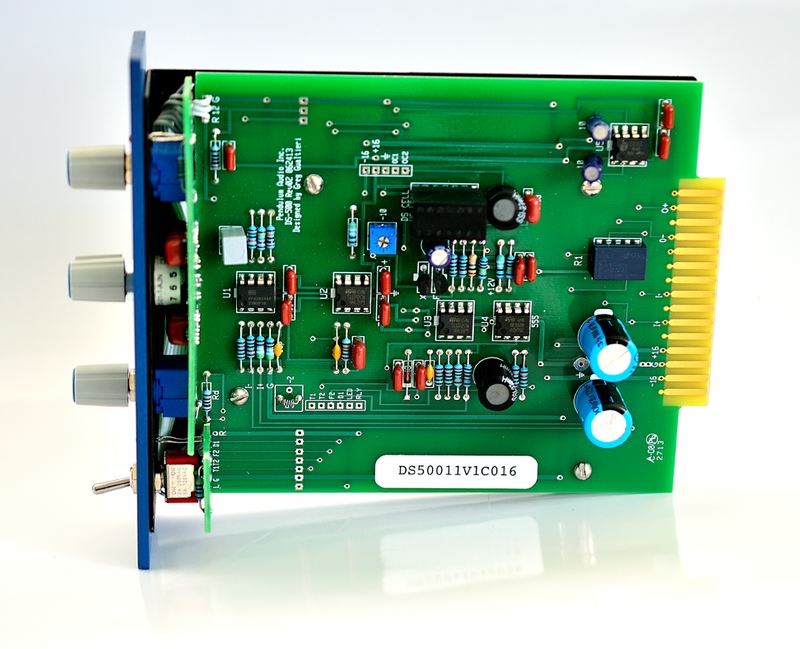 It is identical to the one in the Quartet, but implemeted around a unity-gain class A solid-state line stage." 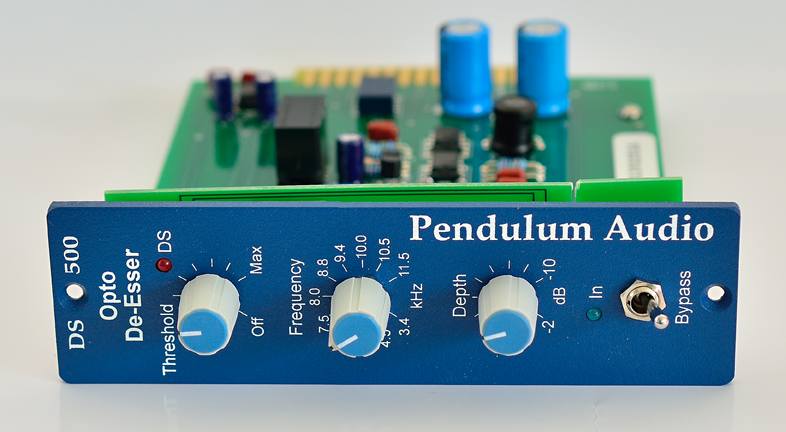 Weiterführende Links zu "Pendulum Audio DS-500 Opto De-esser"
Kundenbewertungen für "Pendulum Audio DS-500 Opto De-esser"